"Over 0.3 million people in the island, especially schoolchildren, suffer from hearing difficulties and the National Council for the Deaf (NCD) provides a commendable service to help them," Social Empowerment, Welfare and Kandyan Heritage Ministry Secretary Shirani Weerakoon said. She was speaking at the Annual General Meeting of the NCD in Colombo. NCD Senior Director Maud Senaratne and Director Shirani Dissanayaka were present. Weerakoon said the Ministry was conducting programmes to improve persons with hearing disabilities by organising sports festivals and aesthetic programmes. "Disability is a physical or a mental condition that limits a person's movements, senses, or activities," she said. "The people are suffering from 10 types of disabilities and the difficulty in hearing is one," she said. "The Ministry takes action to safeguard the rights of persons with disabilities following the international convention of United Nations. "Providing special entry facilities required for the persons with disabilities in public buildings, sign language as a recognized language, forwarding cabinet papers to establish the sign language are some of them," she said. “The Ministry offer medical equipment since even a small device could change the whole life of persons with disabilities,” she said. She said people with disabilities like to live without being a burden to society. "Many with disabilities used to engage in economic activities," she said. “Persons with auditory disabilities have a vocal code disability as well. 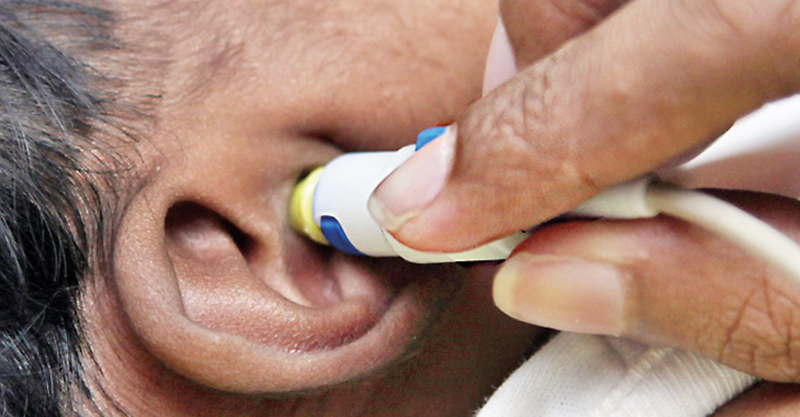 Therefore, offering them hearing aids will help them talk as well,” she said. Weeerakoon said popular writers created fantastic stories while sitting on wheelchairs looking at the sea. "Thousands of melodies were composed by those who could recognise the world only in black; millions of arts and crafts were created by people with disabilities," she said. She said they were rich and brave to travel but waiting till the world was opened for them to step in and explore its beauty. NCD Senior Director Maud Senaratne said the Council was managing a school for deaf children of low income groups and its students were directed to job-orientation programmes.